This was according to Omar W. Hodge, Former Minister for Natural Resources and Labour and representative for District 6, who appeared recently as a guest on the television show ‘Honestly Speaking’ aired August 2, 2017 on CBN Channel 51. The host of the show was Claude O. Skelton-Cline, former Managing Director of the BVI Ports Authority (BVIPA). 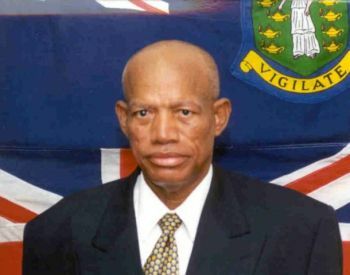 Mr Hodge has been advocating for the Virgin Islands to have its own coast guard in the efforts to stop illegal aliens from entering the territory, but the government at the time, was not taking him seriously and thought that he wanted to use that initiative as a means to get money from the coffers. “From time and time, I’ve been talking about this coast guard and if we can’t afford to buy one, we have to trust one. Now we are facing a situation; we more need that coast guard than any other time,” said the former minister. Mr Hodge pointed out that the Virgin Islands should not and cannot depend on other people to defend their borders, adding that the people of the territory should stand up and be accountable for what is taking place. In response, former legislator commented that he believes that there is “not a lack of will” in wanting a coast guard but a “lack of thinking” in not having a coast guard. He further stated that at the time when he was advocating for having a coast guard, the government said they did not have enough money to finance the initiative. However, Mr Hodge recalled during that time there was a case that involved the seizing of drug and money and he was recommending that they use that money to get the coast guard but they refused. “Remember we had that big drug buss and I was cooping it and was hoping that we would get a coast guard from that money. So the government of the day said, ‘well Hodge you want to go with the whole of the budget’ and I said, ‘no we need this coast guard so we could get more drug bust, so we could get more money,” explained the former minister. We cant even keep one police boat going. Money used for the green houses would have payed for a coast guard. What a mess you made with the greenhouses. How much money disappeared with that job. Stay away from politics. Waste money in green houses,gut ,V.G incompleted green house proj.Why now Mr.? Can we please stop referring to other human beings as Aliens!! !What is wrong with people? dang!!! No doubt the BVI has an expansive and porous coastline, permitting smuggling of drugs, guns and unauthorized entry of personnel..........etc. The porous nature of the coastline poses a national security risk. The cost to increase surveillance of the coastline will be pricy but the outcome will be worth the investment. True, there is a gap between BVI needs and available resources. As such, it has to prioritize its investment; nonetheless, investing in border protection should be a top priority. Establishing and sustaining a coast guard should be strongly considered. Perhaps, the UK being responsible for external affairs and defence can contribute to establishing and sustaining it. Not too sure the BVI can buy a coast guard. 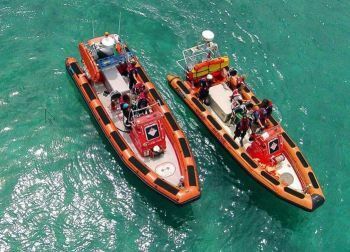 Initial establishing of a coast guard is a small cost to having a coast guard. The lifecycle cost of maintaining a coast guard dwarfs the initial establishing cost.